Today, Damien Newton, editor of L.A. Streetsblog — by far, the city’s most influential source for transportation news — steps in with a guest commentary, as I continue packing in anticipation of my first move in 17 years. Damien tackles the topic of Stephen Box and his campaign to unseat Tom LaBonge as councilmember for L.A.’s 4th Council District. However, he stresses that this piece reflects his personal opinion, and doesn’t reflect the position of Streetsblog or any other organization. Usually a City Council election is about the incumbent, and whether or not he deserves to be returned to City Hall. 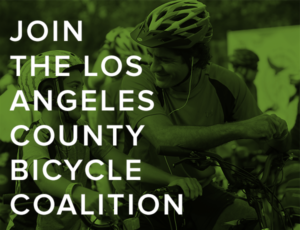 However, for any cyclist who follows politics in Los Angeles knows, there is one election on the docket for 2011 that is different: Stephen Box’s challenge of incumbent Tom LaBonge in the 4th Council District. The election of Stephen Box to the City Council would be a watershed moment for cyclists. No offense meant to Eric Garcetti, Ed Reyes, Bill Rosendahl or even LaBonge himself, but Box has had a laser-like focus on improving safety for cyclists in the city and beyond. But it’s not just that Stephen understands what’s important to cyclists, he also has an understanding of City Hall and the levers of power that means his ideas can become reality. 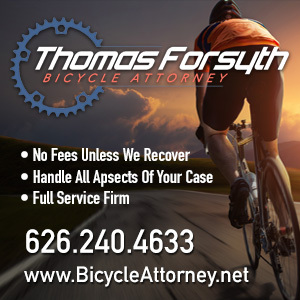 The cyclists/LAPD task force was a direct result of Stephen’s advocacy with the police department over the years. Heck, watch Stephen interact with the police before a Critical Mass ride, and you can forget who is the authority figure and who’s the advocate as police officers happily mug for the camera with Box and his wife, Enci. Or, just read the newest edition of the Bike Plan and run a search for the word “Backbone.” Stephen was the leader of the citizen’s group that created the Backbone Bikeway Network after a series of public meetings in 2009. While a lot of people worked hard to get the Bike Plan changed from the wretched first draft that was dropped in 2009 to what we see today; Box’s imprint, and that of the entire Bike Working Group, is all over the most recent proposal. Sometimes being a leader means doing something you aren’t particularly thrilled about. Saddled with a newborn and trying to find the funds to keep Streetsblog going, I had to sit out much of the end of the debate on how Los Angeles will spend its local return funds from Measure R. The idea of a bike/ped set-aside had originated at the back of the Metro Board Room between myself and LACBC’s Dorothy Le in the summer of 2008, and Box had tried to talk us out of it. He argued that trying to get a small piece of the pie for bike/ped facilities was the wrong strategy. Instead we should be pushing for every road project to have a bicycle and pedestrian component. A fair point. At the time, I used a football analogy that we were trying to move the ball, but he was going for the touchdown. A group of people that all wanted the same thing, better designed roads and streets, but had different ideas and plans how to do that. The point, Stephen wasn’t a fan of the set-aside strategy. Fast forward to this year. Both Rosendahl and Mayor Villaraigosa are pushing for 10% of the city’s local return funds to be set-aside for bicycle and pedestrian projects. The LADOT was agreeing, but was using a budget trick that would have stripped out nearly $20 million of the $60 million that would have been dedicated to cyclists and walkers. I read the LADOT’s reports and I missed it. So did the staff for Council Members Rosendahl, Parks, Alarcon, Koretz and LaBonge. They missed it. So did the Bike Coalition (who have been champs on this issue, make no mistake.) Stephen didn’t. He called the LADOT out for it during a Transportation Committee Hearing. Rosendahl directed them to fix the “error.” And they did. Let’s also remember that he’s not paid for any of this. In fact, he’s often paying his own money for materials or even a trip to Sacramento. He doesn’t always win, after all he’s been the poster boy for the fight against raising speed limits on local streets, but it’s not for a lack of effort. After convincing then Assemblyman Paul Krekorian to introduce legislation that would have pushed back against limit increases that were popping up throughout the valley, Stephen and Enci took a trip to Sacramento, on their own dime, to lobby for the legislation. It didn’t pass, but if Los Angeles had put the muscle into lobbying for it that Stephen and Enci did, it would have had a much better shot. 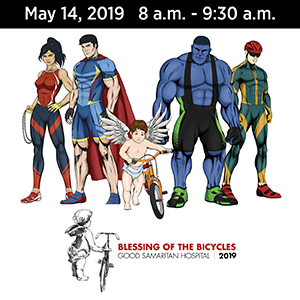 Supporters of LaBonge could point to his history of advocacy for issues such as better bicycle facilities on 4th Street, his voting record at the Council, or the annual Tour LaBonge summer bike series. 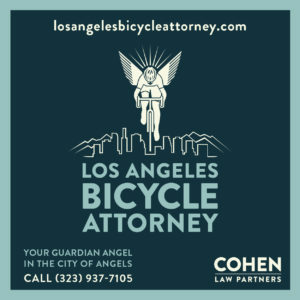 Others could argue that LaBonge’s record, which includes obstructing the Bicyclists’ Bill of Rights and originally supporting a plan for the Griffith Park Observatory that didn’t include bike parking. But the reality is that LaBonge’s record shouldn’t matter when discussing this race. When it comes to bike issues, Box is a once in a generation chance to get a real champion in City Hall. Conversely, a lot of people have problems with Stephen’s combative style. Other advocates have complained to me about it and I’ve known some city staff that just can’t stand him. More than once I’ve been on the other end of some of his pointed criticism, but it’s because he’s always focused on the results. And for a one-man army armed with only his brain and a social media-network, the results are impressive. And I would argue that neither Box’s personality nor LaBonge’s record are the issue. Whether cyclists as a group can embrace this candidacy and push it over the top is. And while there are plenty of reasons to support his campaign, as cyclists, we honestly shouldn’t need to look beyond our spokes. Box will be a great Council Man for Neighborhood Councils, for government transparency, for neighborhood empowerment and for always focusing on results, not intentions. There’s a reason Box won Streetsblog’s “2009 Livable Streets Person of the Year” award and that Alex Thompson bluntly refers to him as “literally the single most important bike activist in Los Angeles ever.” His record of advocacy is second to none. He’s also our game changer. There’s only one Stephen Box, and we may only have one chance to get him in City Hall. In a bizarre case that just doesn’t seem to add up, the L.A. Times says questions remain in the shooting death of Beverly Hills publicist Ronni Chasen. According to Beverly Hills police, Chasen was shot in a botched robbery attempt by a bike riding ex-con — despite the tight grouping of shots, which would have been difficult to achieve from the saddle of a bike. Let alone the lack of bullet casings at the scene or the fact that nothing appears to have been taken. And evidently, according to the police theory, leaving the bike he was reportedly devoted to at the scene. How many robbers in America ride a bicycle seven miles to commit a robbery, approach from the passenger side of a single occupant vehicle, shoot with deadly accuracy, center mass, through the passenger window and then leave after taking nothing? Then, potentially leave their bicycle in the area and walk seven miles home? Take the bus? Hitchhike? More than that what about all the firefighters, ambulance, and police that rolled out no one saw him, interviewed him or anything? So he kills her but doesn’t have time to grab her purse or anything of value from the scene? That really does stretch the notion of “botched robbery.” Not impossible, but very “weird” nonetheless. Personally, I suspect Joe Anthony, aka @ohaijoe offered a more credible theory when he suggested that it could have been road rage. At least that theory makes a little sense. Transit advocates and cyclists are outraged as the Metro Board discards the recommendations of their own staff and LADOT to exempt the multi-million dollar condos along Wilshire Blvd in the Westwood area from the planned Bus Rapid Transit, or bus-only, lanes. The lanes would run on either side of Wilshire Blvd; impact on traffic would be manageable, while encouraging alternative transportation and moving more people more efficiently. And yes, the rest of the board voted with him to support the desires of the very wealthy few over the needs of everyone else in the room, exempting an approximately 1-mile stretch from Selby to Comstock. Personally, I intend to remember that quote the next time Zev asks for my vote. Finally, Chris K, wrench-meister and author of (just) Riding Along, offers up a guest post on Pedalr that they call their best blog post yet. And Long Beach may drop their heavy-handed bike licensing requirement.